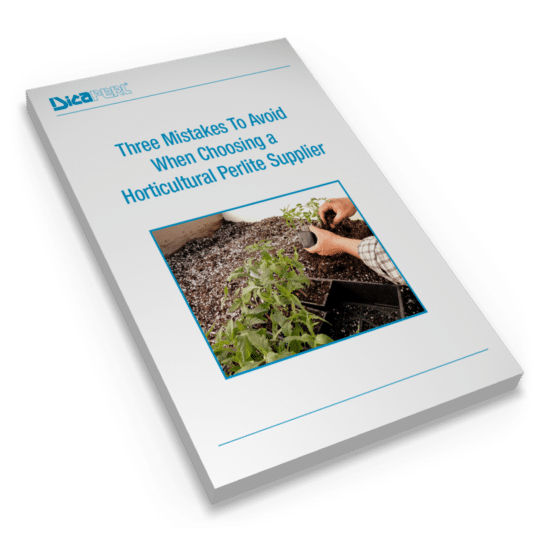 Horticultural perlite is a lightweight, non-organic, soil conditioner that provides a number of important benefits to commercial growers, landscapers, and home gardeners. Perlite can be used to break up compacted soil for better water drainage. The high displacement and lightweight volume capacity of expanded perlite provide room for air and water, preventing over-watering and allowing proper drainage. Because it is inorganic, perlite is stable and doesn’t decompose or break down. 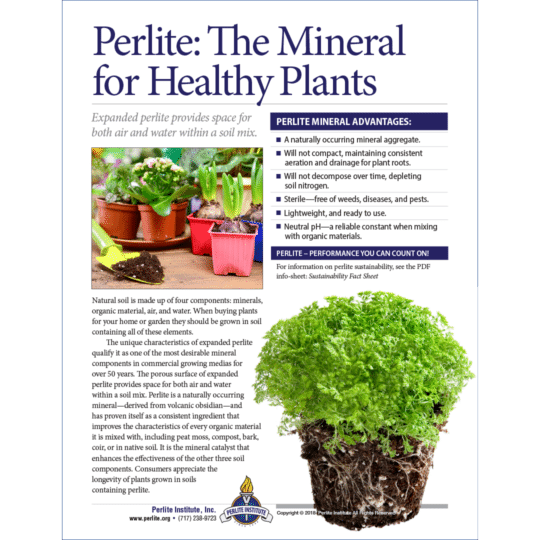 Perlite’s pH range is 6.5 to 7.5—the ideal zone for most plants to absorb nutrients. Perlite is lighter than grit or sharp sand, pumice, or other aggregates—which can also be used to improve drainage in a garden bed. Adding Perlite to your growing media makes for lighter, easier to handle products for manufacturers, and makes it easier for home gardeners to work with. According to research, growing plants hydroponically with perlite produces a heavier crop for the space used and a better quality product. Tomatoes, for instance, are less prone to splitting when grown hydroponically than if they are grown in soil. In hydroponic systems, roots are grown in troughs of perlite which are supplied with a fertilizer/nutrient solution. This allows the right amount of water and oxygen to get to the roots. And unlike soil, this growing medium does not attract pests or diseases, and it can easily be replaced.